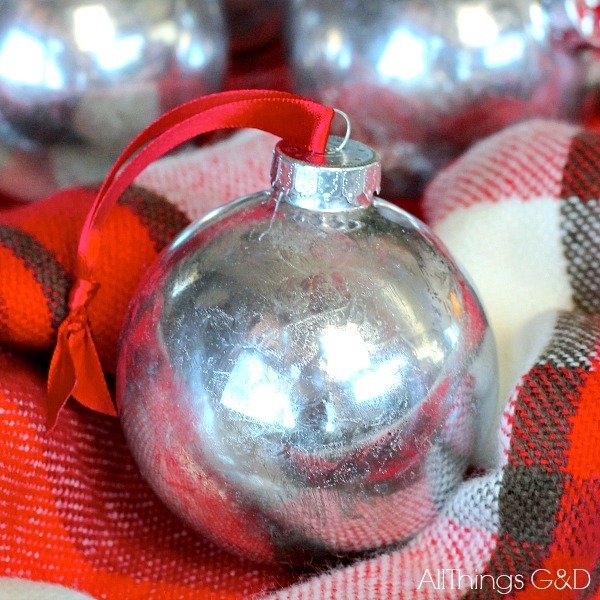 I’ve always loved the look of mercury glass ornaments, and had no idea that look was so easy to recreate thanks to Rust-Oleum! The secret? Their Mirror Effect spray paint! 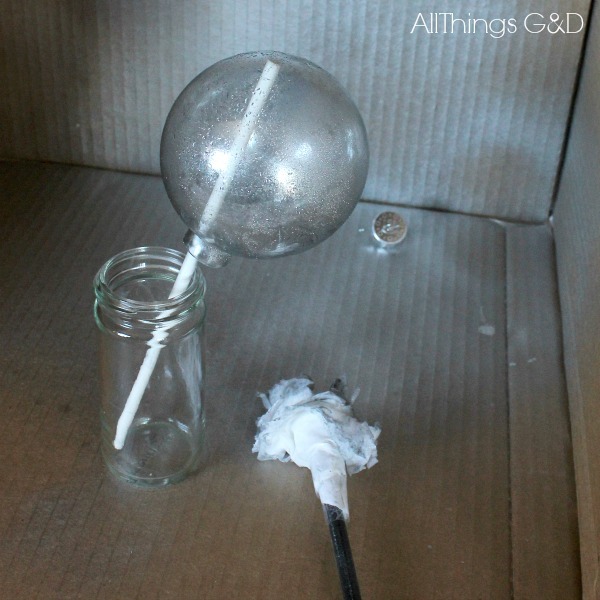 Since I was working with the teeny tiny opening of a glass ball ornament, spraying the inside of the glass was out of the question for this look, so I decided to try spray painting and finishing the outside to see how it would look, and it turned out great! 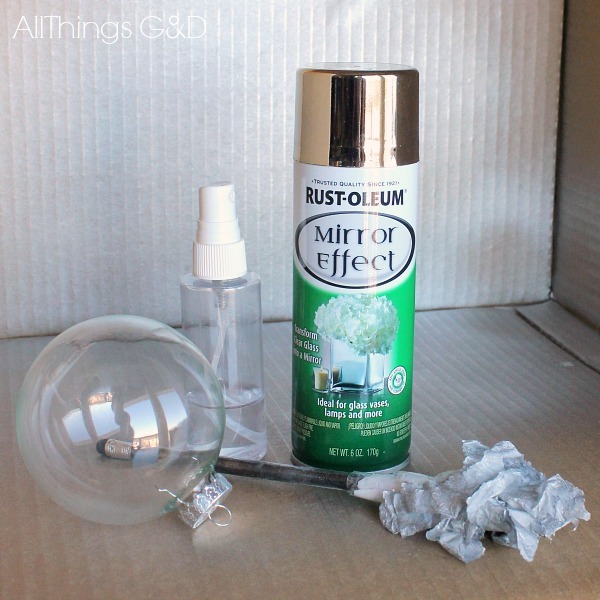 I sprayed a light coat of Rust-Oleum Mirror Effect Paint on the outside of the glass ball ornament, spritzed it immediately with my vinegar and water solution, and blotted it with a frayed paper towel. I waited a couple of minutes between coats and did three coats of spraying, spritzing and blotting total. The beautiful faux mercury glass result! 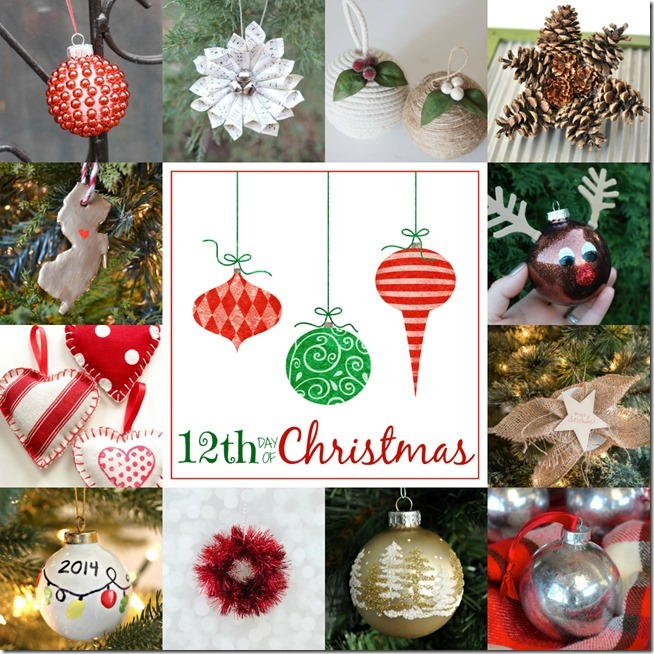 And here’s a look at the rest of our Day 12 DIY ornaments from our 12 Days of Handmade Christmas Ornaments series! 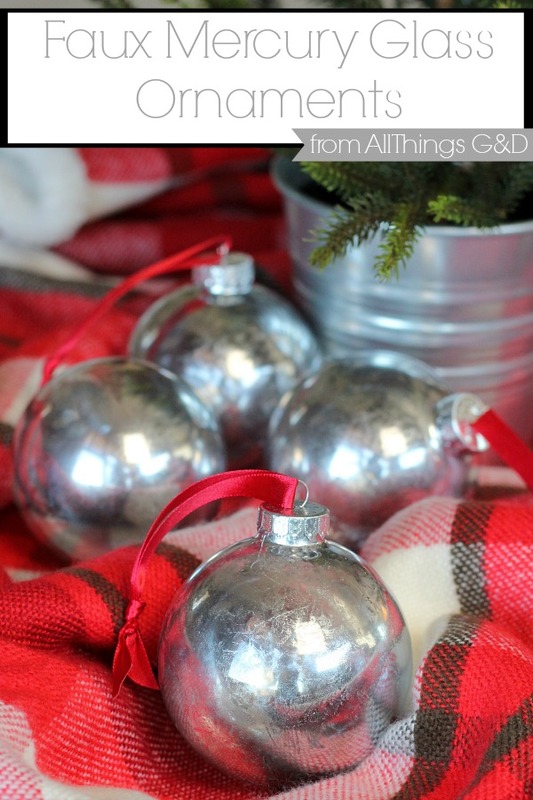 A great big THANK YOU to Linda from It All Started with Paint for organizing this DIY ornament series, to Rust-Oleum for providing their Mirror Finish Paint at no cost to me, and to Michaels for providing a gift card to cover the cost of some of the additional products. I hope you’ve enjoyed this 12 Days of Handmade Christmas Ornaments series – now we want to see YOUR handmade ornaments! Link them up below and show off that DIY holiday goodness!